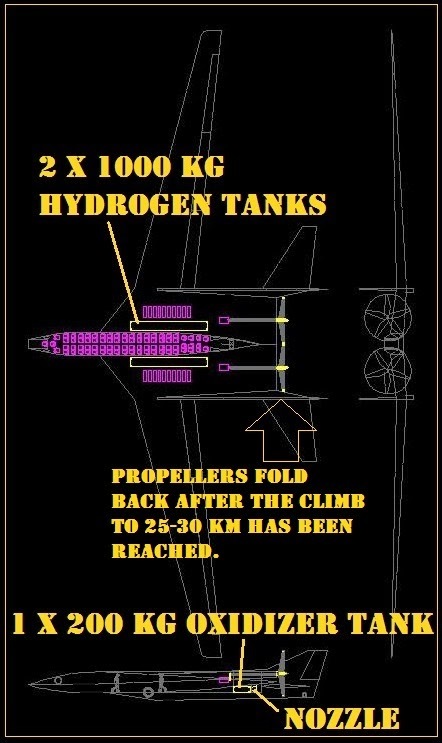 Sub-orbital altitude solar/rocket powered mother ship launch vehicle THE NORTH STAR: Solar/rocket powered passenger plane of 80 seats ! 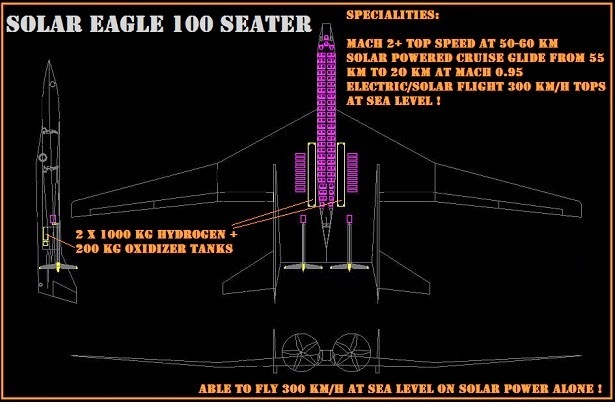 Solar/rocket powered passenger plane of 80 seats ! 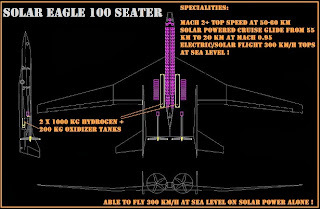 Mach 2+ at 50-60 km....and as glider down to 40 km altitude and back to solar powered flight. Also a 100 seater with 68 m span. A space-plane needs to have a wing sweep angle of > 70 degrees to shed the shock waves of high mac flight in the atmoshere or re entry. Why there wasn't any sweep in X-15 nor F-104 ? I mean idea is to brake in the thin air..not to brake it. 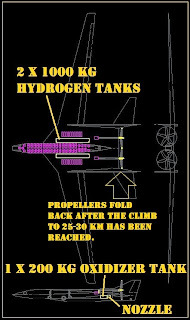 The whole point is flying much higher than any of the previous planes have reached with 1/30 wingloading. Check what altitude the meteorites start to burn up and at what speed. Then you get the glue. No problem....I wonder why the industry hasn't done a proposition yet ?